Purveyor of gourmet fried chicken sandwiches. 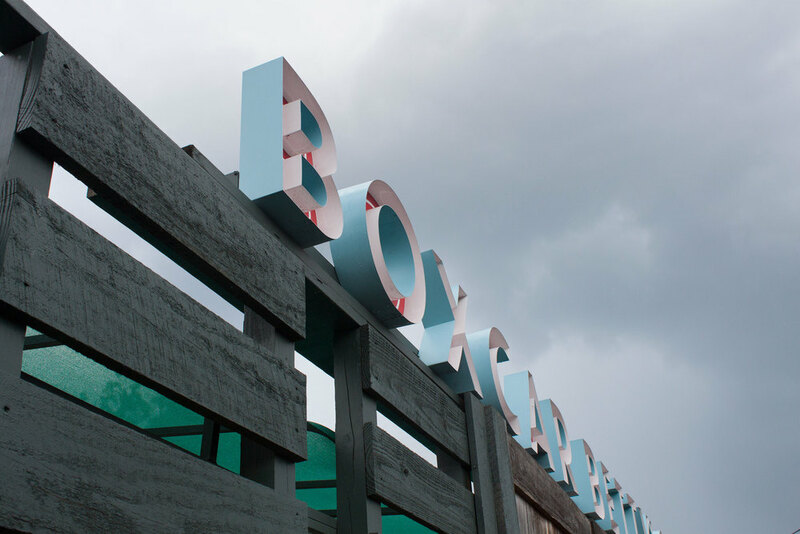 Boxcar Betty's started with a picture of a fried chicken sandwich and developed into a desire to bring high-end fried chicken sandwiches to Charleston. The process evolved into an experience for our customers from the incredible award winning chicken, to attentive customer service and a unique space. We craft our sandwiches with great care using the best chicken and locally sourced ingredients. We work hard to care for our world. In addition to locally-sourced ingredients, we're committed to helping the environment by ensuring that everything on your tray is completely compostable. Feel good knowing that, at least for this meal, you're doing your part. To find details or contact info for specific locations, please visit our locations section and choose the area nearest to you. We're growing! All-natural, cage-free, antibiotic-free fried or grilled chicken breast, or Pimiento cheese stuffed, fried Portobello mushroom cap. Fried or Grilled chicken or Pimiento Cheese Stuffed Mushroom Cap. Choose as many toppings as you'd like.